A man is changed into a flea and must bring his future parents together in order to become human again. A woman convinces a river god to cure her sick son, but the remedy has mixed consequences. A young man must choose whether to be close to his wife's soul or body. And two deaf mutes transcend... read more their physical existence in the garden of dreams. 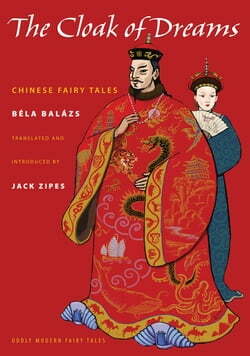 Strange and fantastical, these fairy tales of Bela Balazs (1884-1949), Hungarian writer, film critic, and famous librettist of Bluebeard's Castle, reflect his profound interest in friendship, alienation, and Taoist philosophy. Translated and introduced by Jack Zipes, one of the world's leading authorities on fairy tales, The Cloak of Dreams brings together sixteen of Balazs's unique and haunting stories. Written in 1921, these fairy tales were originally published with twenty images drawn in the Chinese style by painter Mariette Lydis, and this new edition includes a selection of Lydis's brilliant illustrations. Together, the tales and pictures accentuate the motifs and themes that run throughout Balazs's work: wandering protagonists, mysterious woods and mountains, solitude, and magical transformation. His fairy tales express our deepest desires and the hope that, even in the midst of tragedy, we can transcend our difficulties and forge our own destinies. Unusual, wondrous fairy tales that examine the world's cruelties and twists of fate, The Cloak of Dreams will entertain, startle, and intrigue.